It’s that time of year again. Time to make your list, plan your week — and hope that the music gods are on your side as you zig zag through the streets of San Francisco during Noise Pop Music Festival. With so many bands to choose from, we asked some of our editors to list off some of their top picks this year to help narrow the field of must-see bands during the most hectic week of music to hit the City by the Bay. February 24th is now known as the “Evening of Weeping, Wailing, and Gnashing of Teeth,” as we attempt to find the most badass Uber driver ever and careen between the venues, with no less than four of our favorites playing on the very same trainwreck of a night. Maybe the most compelling outsider poet since Morrissey, but the trick is, she’s her own Johnny Marr as well, and absolutely riveting live. New LP Music For Listening to Music to = new live jams. Putting the noise in Noise Pop and bringing the warm and fuzzies to any lover of shoegaze. Sometimes there just aren’t enough flame emojis. You ever see people try to mosh to dream pop? 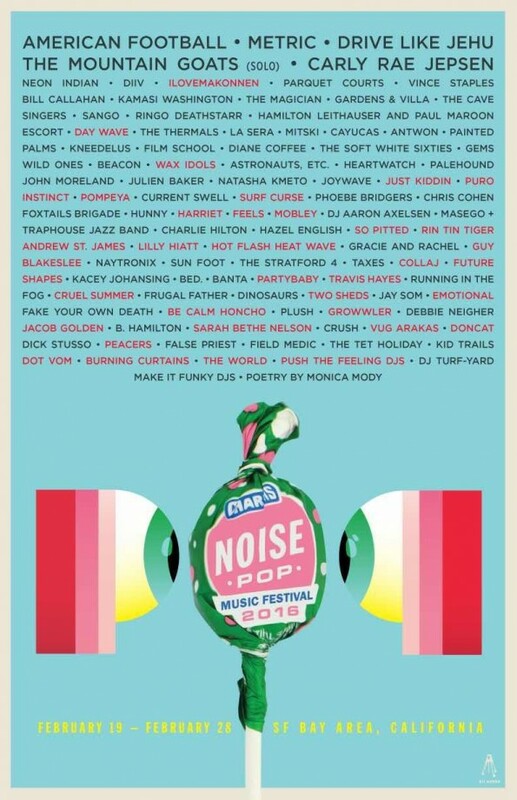 Check out the full schedule for all of Noise Pop’s festivities here.